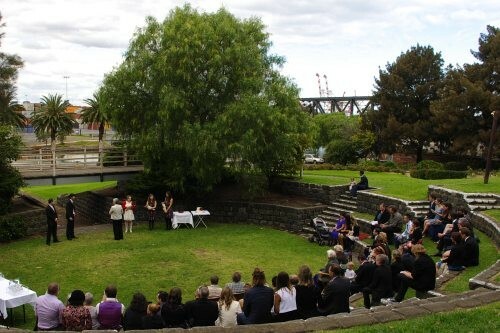 For those playing at home, the venue was the Footscray Community Arts Centre – the disused Maribyrnong River goods line can be found in the background, as can the mainline railway that links Melbourne to Sydney and Adelaide. 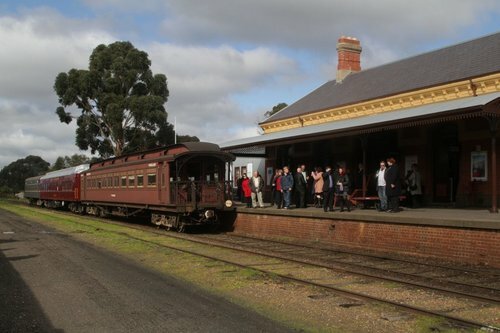 Back in August 2013 I attended a wedding held onboard a train – given the bride and groom met through the railway preservation movement, it was the perfect setting for the couple. 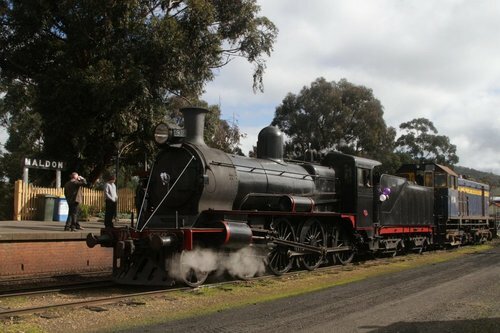 Held on the Victorian Goldfields Railway that runs between Castlemaine and Maldon, century-old steam locomotive D3 639 lead the train carrying the wedding party and guests. Coincidentally this isn’t the first time D3 639 has been part of a bridal party – on 18 November 1967 it led a train from Thornbury to Spencer Street Station for the wedding of another railway enthusiast: Weston Langford. 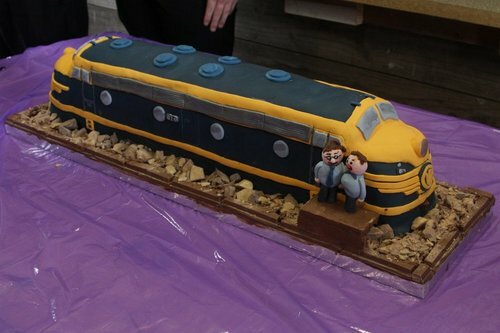 Fifty years on, the Southern Aurora is no longer an option for the honeymooners to head to Sydney, but hopefully the model of locomotive B74 in cake form made up for it. What happened to Metro’s station staff promise? Congratulations. 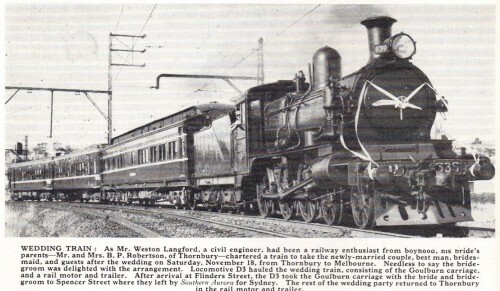 I remember that area well enough from when I walked the banks of the Maribyrnong River while following the old goods line. Congratulations, Marcus! I hope it was a great day.